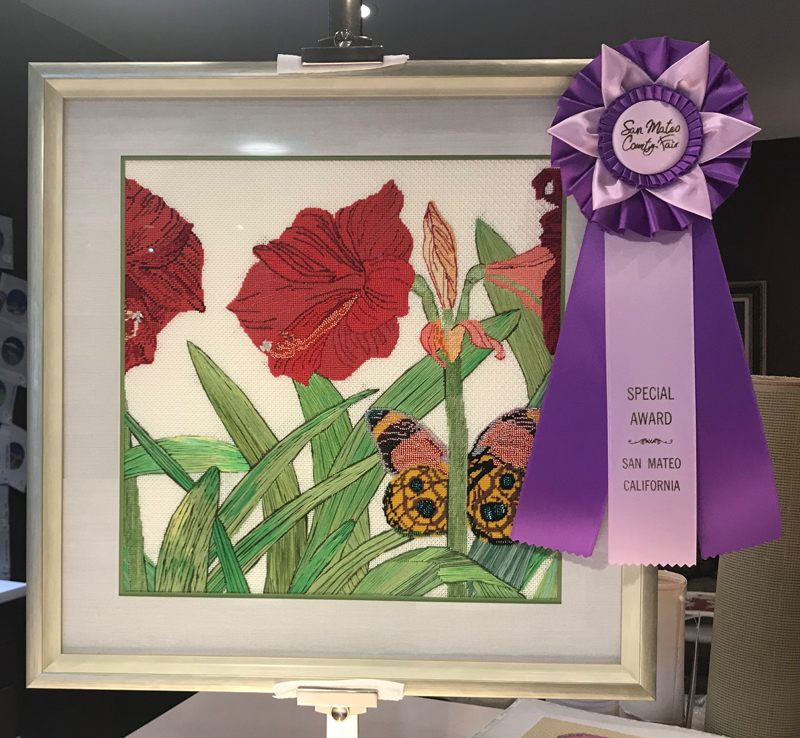 Congratulations to stitcher Helene Hollander for winning 2 awards at the 2018 San Mateo Fair! She won the Board of Directors favorite award and 2nd place in the large needlepoint wall hanging category. She stitched the canvas called Amaryllis and Butterfly. The canvas design and stitch selection are by Dale of Dj Designs and Luv2Stitch.